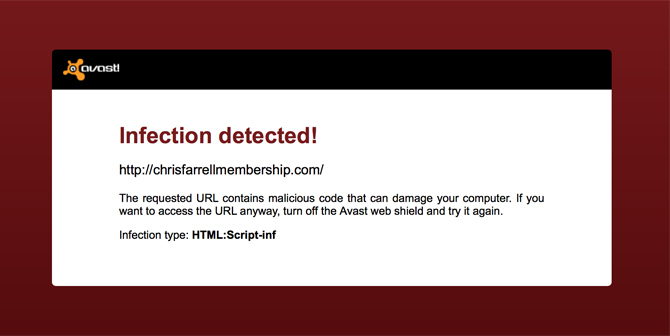 So I can't view the Chris Farrell Membership website, ever. My "Avast" antivirus software is blcking the site completely. I've seen many CFM scam/legit reviews in Site Comments section, I'd just like to visit the actual site myself, once! Even Kyle is rating 82/100 in his review! When did you do your review? I agree he's a likable fellow, but I think he's gone to the dark side. I would send them (Chris Farrell) a message via social media to let them know about it. Yes!!! I've never thought about it, and I will do. For their benefit, thanks for the advice Jay! Chris Farrell Membership is not what it used to be. I reviewed it a few months ago and had been a member about 3 years ago. When Google did the Penguin update, it destroyed the business model that Farrell taught. His membership site now is little more than a place where he tries to sell you more stuff. On my review, I did not recommend it. You can read my review here. This is impressive, not the CFM but your review, thank you! I see so much in detail...Look like it's going downhill and it's a shame, but that's good to know that we're in the best place here at WA. I use Avast and I don't get that error, but I don't use the browser plugin. But the site doesn't load, it's just blank. Hi Marcus, ah, so it is probably to do with Avast then. I've had Avast for years (I think...can't even remember) and this is the first one I've ever seen. Have a looksee at this then make your mind up. Thank you - I just read it, and it really doesn't look as good as WA at all, does it? The content is outdated & the forum is not appealing. No I wasn't going to join them or anything anyway. Thanks for your help agin! You made the right choice RaeAnne. You stick to WA and keep reading my blogs lol. Thanks Robert, you too have a good evening! I tried to access the site and got through no problem. I would think my Karsparsky antivirus would have completely blocked me for maiware. Sometimes you get a false positive. I used to get that with AVG and Viper. Maybe shoot Avast an email with the URL and see if it could be an error. I was a member of Chris Farrell, and can tell you first hand, they want to up-sell you and it costs a lot more. You learn how to build a basic funnel website, and they have other video training's, but they are like overviews using snippets of code they simply get you to click on and you are done, kind of done for you. Unless you upgrade, the instructions are on some things vague and incomplete. You host elsewhere and you need to have an auto-responder...they recommend aweber...another $20 bucks a month. You learn the whole process here, focused on a truly long lasting content site and no up-sells. You get the real bang for your buck here at WA. Hi Chas, thanks for your advice! As you suggested, it ay be a good idea to email Avast, but after I heard your real experience with Chris Farrell, my interest has faded now. It's great to know (that they're really not as good as WA), so thank you, I appreciate it! I did a reveiw also and there are many more here that have done reviews! Hi Sheila, I just read your review, thank you! You'd have to pay for the hosting fee elsewhere which I didn't know about. Really, doesn't look as good as WA. Nope is not even close! I wouldn't worry about it. You can read reviews about it on my website and many other WA members who have reviewed it. Thanks PJ, I just read your review, and thought it was quite tempting! Though you're giving 7.5/10, and there's no free trial... well I was never going to join them or anything. I'll forget about it now, thank you! CFM and WA are mostly the same. If you want to get access for the sake of review then turn the avast off.